How is Young Xehanort supposed to gather the 13 darknesses again? At the end of KH3D, every seeker of darkness that has been brought to the present (Young Xehanort included) returns to his own time and forgets everything that happened during his time travel. So YX went back to Destiny Islands. But how is he supposed to gather the 13 darknesses in KH3? He gathered them once at the end of 3D. I guess he kept his power to travel through time but he can’t remember anything regarding the future and the whole time travel and therefore don’t know about his power and his task to gather them once again. So how will the 13 darknesses be present in KH3? Am I missing something or don’t we have an answer for this question yet? This. I have been bringing this up so many times and yet I can't seem to get a straight answer. My main theory is that while the events of Dream Drop Distance were Xehanort's attempt at making Sora the Thirteenth Seeker, it was also an elaborate smokescreen. You're right in that the time displaced Seekers, including the Master Xehanort we see, can't come back, this was all to distract the heroes while the real reborn Master Xehanort, Braig, and Isa work behind the scenes to make things go according to plan. Well Young Xehanort doesn't need to do it anymore since Master Xehanort has returned. But how? Is he going to split himself up again and send his Heartless back in time to start all of this over again? Because that is the only way the time displaced Seekers can come back according to the rules of Time Travel. Sure, Master Xehanort has returned, but what about the other seekers of darkness? As for now, we know that MX, Braig and Isa have returned but what about the other 10 seekers of darkness? Wasn't it implied that YX must gather them once again to fight the 7 guardians of light? Oh they were really there, they had to be for the distraction to seem like a legitimate threat, otherwise the heroes would realize they were being distracted. And now that the heroes are looking this way, Xehanort, Braig, and Isa can go looking for spare vessels. Although to be fair, we don't know who the other six/seven Seekers are yet so they could also be legitimate present day vessels, all we know is that Young Xehanort, Ansem, Xemnas, Xigbar, Saix, and possibly the Master Xehanort we see in the scene can't come back. Well, my guess would be that Xehanort's youngest self would go about gathering his splintered versions again, but then, would he go about this the same way as the first time? Because this would be a sort of loop, only that this time around, they would have passed by the events of the Mark Of Mastery and headed directly to the conflict of the seven and thirteen! I'm not really too sure on this one! I guess we'll have to wait and see for what happens! If Young Xehanort is Master Xehanort's youngest self, then there is no other way besides time travel for him to gather his other selves because they don't exist yet because he hasn't grown up into them yet. Also, how do you not know? They're using your Keyblade so you should know exactly what they're up to. Indeed, so that begs the question if they'll even appear in Sora's next adventure or not! That's something that will have to be clarified! Well hey, sure, my eye can record events from the future, but that doesn't mean I know everything! It's not like I can see everywhere at once, ya know? So bear with me! I'm just an ordinary, scheme ridden guy! I've asked this before and no one gave me a real answer either. All I got was a bunch of theories based on opinions and speculation. Just another piece of evidence towards the fact that the fans write the story for Mr Tetsu. It's just another gaping hole that may or may not be filled in during KH3. I have a feeling it has a lot to do with the chest and the Master of Masters or Luxu. I have too many theories, tbh. Dang, I really hoped to have a clear understanding of DDD's plot while playing through it myself. This is the one game in the series that really doesn't make a whole lot of sense to me, and I can see that I'm not the only one having trouble. Then again, there's a good chance that KH3 will have an explanation for the Seekers of Darkness from the past to return once more to the present, even if it's through YX again. There must be a way for YX to go through his sequence of determined events again to gather the vessels for MX's master plan. Otherwise, DDD wouldn't really matter much to KH3's plot, would it? I remember some on here were saying years ago that DDD kind of retconned some of the series' main plot points, though I don't know how much would have been retconned. We can all hope that KH3 will address as many questions as possible, but it just might give us a few more, too. Posting in an old forum, I know, but I've kind of had this theory for a while that when Xemnas was commanding his Kingdom Hearts at the end of KH2, he may very well have been hooking up his own (Xehanort's) heart up to the remaining hearts, in hopes that the strongest of those hearts would return to form the real Organization. After all, Xigbar did explain that the plan was initially to hook a bunch of empty husks up to Kingdom hearts to fill them with the same heart and mind. 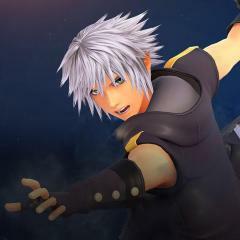 If Xemnas did, in fact, fill the remaining hearts with his own, then it may be possible that, between Sora and co. defeating many nobodies, and some of those Nobodies' hearts being part of Kingdom Hearts at the time, some of them, even ones with strong hearts, could have returned to their normal forms with a piece of Xehanort's heart in them. After all, Xehanort seems to have had several backup plans, in case some of them did not succeed, so this may have been another resort of his in case his plan in DDD failed. That's just speculation on my part, though. Characters appear and disappear for no reason in the next cutscene, sometimes characters are out of place in the cutscene I mean it I thought I read they didn't fully write the time travel thing down and the game was done fast. "I will return to my own time, and grow into the man who becomes all these others. While I know this future now that I have lived it, returning to my own time will erase the memories and experiences I have gained here. Still, my appointed path is now etched in my heart, which will first lead me to seek the outside world." ​​Whatever kind of path that is etched into his heart, he will follow it prior. 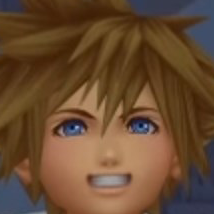 I guess by everyone gathering up in DDD, trying to Nort Sora but failed, and they were out of time and have to go back where they came from, for their hearts, this "Norting" acts as a permanent dark destined attachment. Despite they won't remember all what has happen, their dark paths etched in their hearts are set for them to reunite again. I guess like planting a seed, it'll grows in time, and blossoms into something in the future. 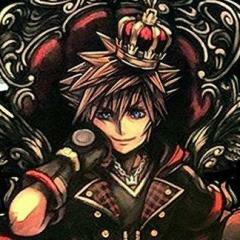 I guess like if Xehanort DID succeed into planting part of his heart into Sora, Sora becomes a dark vessel and all of them will return to their own time, Sora wont remember what has happen but within his heart the " dark destined appointed path" that Xehanort planted inside of him will lead him into becoming the Norted Sora, and they all will follow what was etched in their hearts. May sound dumb but, what if MX just informs him?